CrazyMass Growth Hormone Stack™ – Massive Gains & Strength! The Growth Hormone Stack is our newest and most unique and potent stack offered in our line-up. This stack was created for the serious athlete or bodybuilder and was designed to achieve fast serious definition, endurance, and lean muscle mass. This is the must-have all-natural and legal alternative stack for bodybuilders looking to cut fat and gain strength! 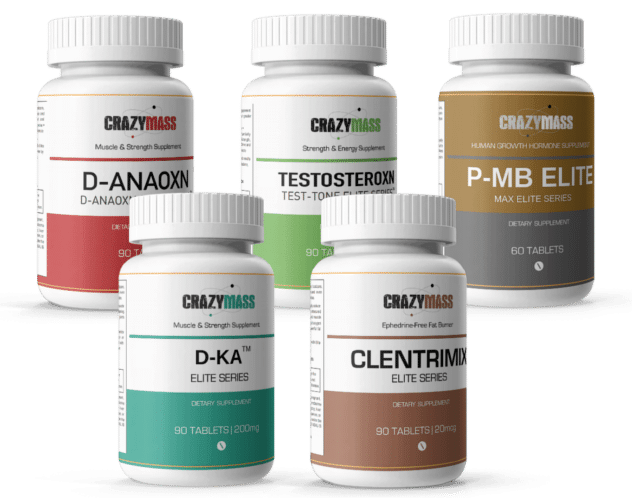 All of our CrazyMass products are formulated to synergistically work together to provide massive results, and you save like CRAZY when buying a stack. Increase Muscle Mass, Crazy Fast! 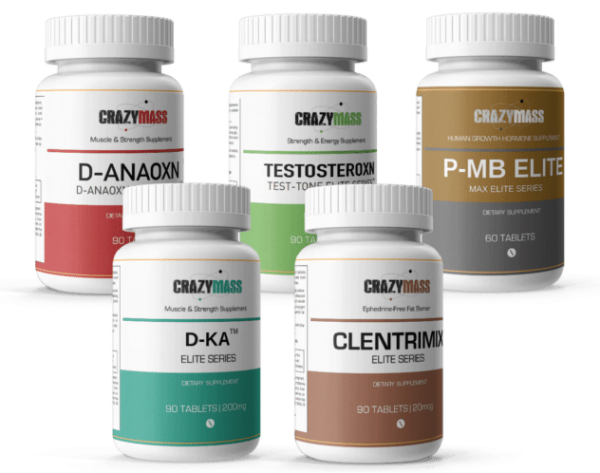 The CrazyMass Growth Hormone stack is our most powerful and fast acting stack in our lineup. This stack will deliver massive amounts of lean muscle, aggressively reduce body fat, help to improve cognitive health with increased endurance and stamina. Perfect for the serious competitive athlete and or bodybuilder! The key is adding our unique formula P-MB ELITE with 4 of our muscle building and fat burning formulas which will yield outstanding overall body health with impressive, fast results! 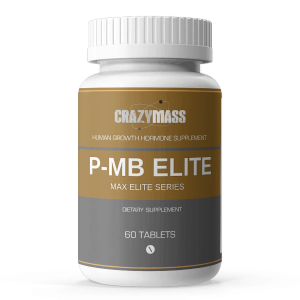 There are many P-MB ELITE MASS BUILDER benefits beyond the bodybuilding world, such as healthier skin, a stronger immune system, and improved brain function. Our legal all-natural alternative is a must-have for any serious bodybuilder or athlete who wants to improve performance. The stack utilizes five very different fast acting formulas, which are designed to work together delivering awesome overall definition and a strong, healthy body and save you money when purchasing as a stack. This is our CrazyMass staff favorite stack! All of the benefits you’ll read in reviews, within a legal stack designed to maximize lean muscle gains quickly. P-MB ELITE Boosts strength and recovery, safely enhances nitrogen retention, increases lean muscle mass, promotes blood flow during exercise, increases focus and drive and Stimulates the immune system D-Anaoxn (bulking alternative to Dianabol) creates a highly anabolic environment and increases nitrogen retention in muscle tissue, which allows increased protein synthesis and results in impressive strength and mass gains. Testosteroxn is an energy and strength booster and is a legal all-natural alternative to Testosterone (Test). Clentrimix, our classic fat-burner, and cutting agent and is a legal all-natural alternative to Clenbuterol, a key ingredient to our fat burning stack. Provides extra energy and stamina to help harden and cut muscle while quickly gaining power and strength. D-KA Elite provides extra energy and stamina to help harden and cut muscle while quickly gaining power and strength. 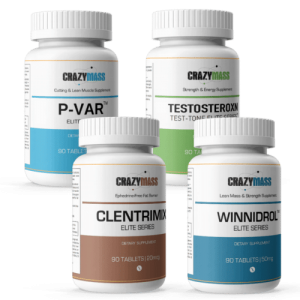 Here are our recommendations for using the CrazyMass Growth Hormone Stack for serious definition, endurance, and lean muscle mass. Take one pill from each bottle as one serving. You can take up to three servings per day, take each serving with a snack or meal and drink 8-10 large glasses of water a day. Take each serving with a minimum of five hours between servings. If taking three servings per day, your stack should last about four weeks. You can take the product(s) for up to eight weeks before taking ten days off from our muscle building stack. Try to take one this Growth Hormone stack’s servings 30-40 minutes before you work out, and we recommend an ISO-Ignite Protein Shake one hour pre- and post-workout; the shake seems to ignite the ingredients in our products.